This water chiller keeps the laser tube cool and is essential for repeatable professional cut and engraving quality. This water chiller keeps the laser tube cool and is essential for repeatable professional cut and engraving quality. Highly recommended for non-temperature controlled environments (non-air conditioned warehouses) for lasers 60W and over. 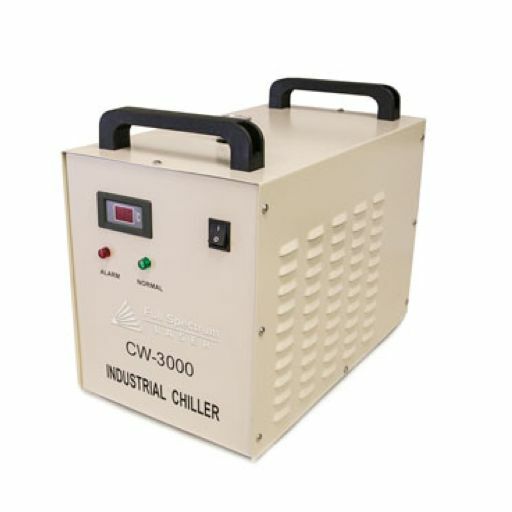 The basic water chiller has a radiator and integrated water pump. The radiator will vent the heat into the atmosphere and keep the water at around room temperature.